The Kovel comprises of the majority of the urban areas east of the River District and up to the old city wall. The majority of the buildings in this area are undergoing a large reconstruction and revival after the recent years. 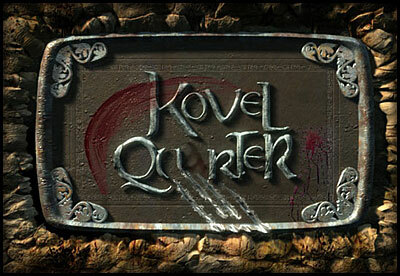 Once, the Kovel Quarter has become host to a number of well organized goblin tribes. These tribes waged a bloody war against each other as much as they did against the humans. In recent years, their activities has been diminished and they all but vanished from the immediate area. Even deeper in the unclaimed area and beyond the old city wall from Kovel Quarter lies the infamous Midden Heap, a place rife with filth and disease, where horribly deformed and mutated inhabitants are rumored to keep some sort of order among the surrounding chaos.